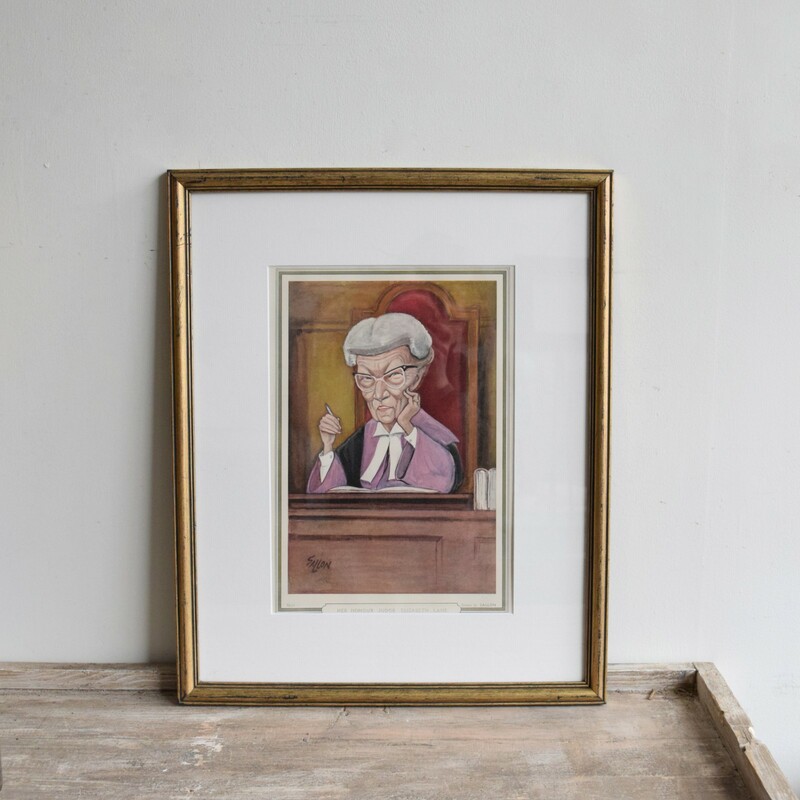 These vintage legal illustrations are tongue in cheek portraits of various high court judges by R. D. Salon. The three featured here have been recently framed using characterful vintage frames. There are more available featuring different judges. Please enquire for more information or see #S0139.